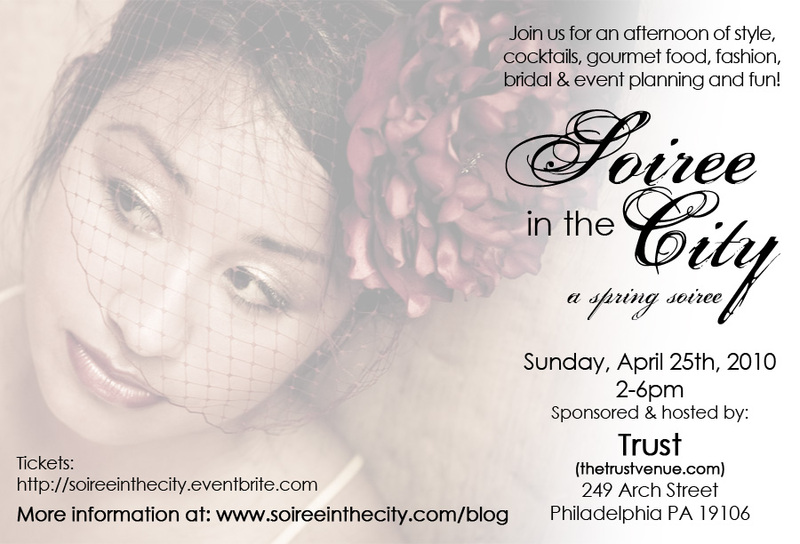 Soirée in the City is Philadelphia’s Premier Bridal & Style Event. 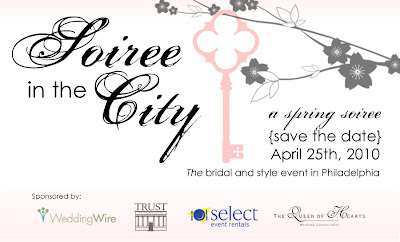 Philadelphia brides, wedding and party planners, fashionistas and event planners rejoice: On Sunday, April 25th [2-6pm] Soirée in the City will feature the best in beauty, fashion, event décor and style at Trust, the most beautiful gallery & event space in Old City. goal is to make preparation for the big day as seamless as possible, while at the same time helping to craft individual events that will be exceptional standouts for years to come. atmosphere of a celebration,” says Soirée founder organizer, Laura Eaton. Attendees will be treated to complimentary cocktails, hors d’oeuvres and desserts. The event is complete with a goodie bag and visit to the decadent Beauty Lounge, staffed by Béke Beau makeup artist and Tierra Mia Organic Nail Spa, all included with admission. Dovetail artisans is a gift shop/ gallery carrying primarily items handmade in North America. As my new motto is "Buy local, Buy Handmade." It is my new favorite stop for all kinds of baby and wedding gifts ('tis the season) or just shopping for a special item for myself. It has been a gift shop for many years, but was recently sold to Elayne Aion who renamed and remodeled the store with a great new look and new merchandise. I will be bringing my whole collection of jewelry out to Glenside for first friday May 7th from 6-8:30. See the website: www.thedovetailarisans.com for directions and more info. 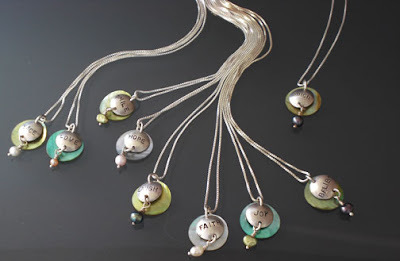 Layne Designs is bringing her whole collection of finely handcrafted jewelry to a swank event in Old City Philadelphia called Soiree in the City. The event is at the newly named Trust gallery (formerly Fuel) on arch street. From 2-5pm on Sunday, April 25th. The event is open to all, especially brides, bridal parties, friends and family of wedding goers this year. Handmade clothes and jewelry, gifts and treasures are going to be there along with some of the city's finest photographers, florists, and entertainers. Soiree in the City is not a typical bridal show. 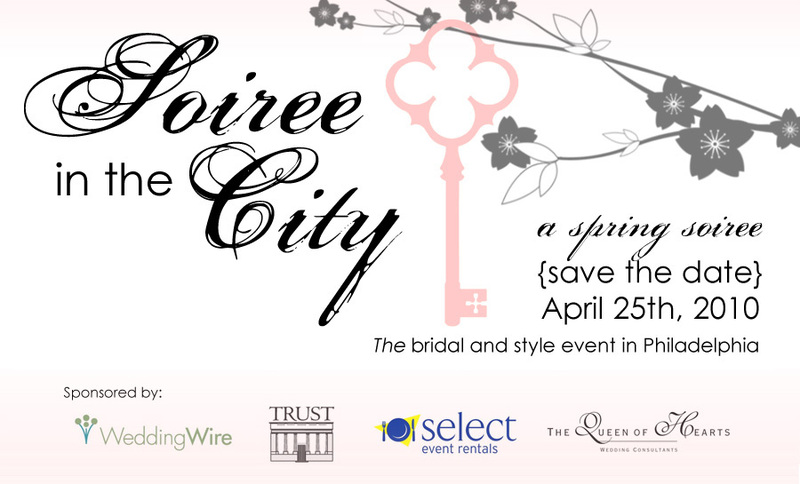 Soiree in the City is a style focused event, with a select group of the best of the best professionals in the Philadelphia wedding, event and fashion industries.